Pisa is a fantastic city that offers beautiful historical monuments, world-class museums, and over 20 historical churches. Located on the western coast of Italy, Pisa is one of the smaller cities in the Tuscany region with a population of just 91.000. The bell tower of the cathedral, known as “the Leaning Tower of Pisa,” is the most attractive landmark of the city and is one of the many works of architecture and art in the city’s Piazza dei Miracoli. Once you are in Pisa, you can also discover the Cathedral, the Baptistery, and the Campo Santo, the monumental cemetery that is situated on this Square. In the 12th century, Pisa became a home of the University of Pisa, especially renowned in the fields of Mathematics, Engineering, Physics, and Computer Science. Beautiful Pisa is also a birthplace of many famous people through the centuries as Galileo Galilei, the Italian physicist, astronomer and engineer, one of the most popular Italian singer and songwriter, the famous tenor, Andrea Bocelli, a popular footballer of the Italian club Juventus, Giorgio Chiellini, and also a home of the Italian tennis player, Camila Giorgi, and many others. 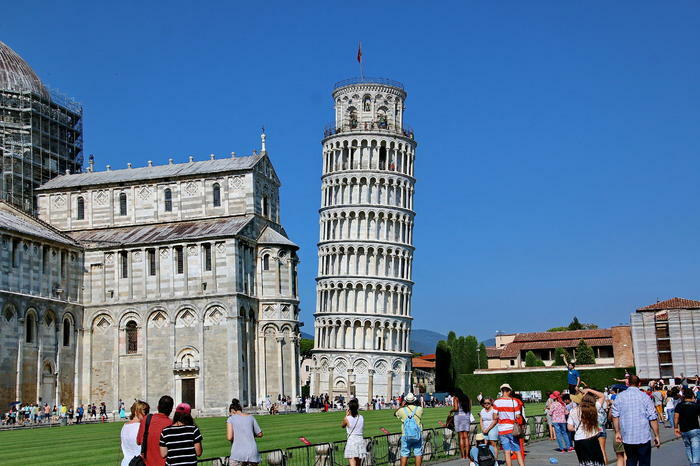 The tour departs from Florence and our first stop is the historical city of Pisa. Enjoy your day admiring the Piazza dei Miracoli and the impressive Cathedral, the Baptistery, and the most attractive Leaning Tower. Here you will have a unique chance to see the Chianti countryside where you will enjoy the Italian cuisine and the taste of some local wines. Discover the fascinating history and visit the ancient enchanting churches. Once you head for the villa’s terrace, the panoramic view will take your breath. You will spend a great time tasting the first wine of Chianti Classico and a typical lunch from Tuscany, made with local products. While you are in the villa, don’t forget to relax in the villa’s luxury gardens, rich with colored flowers and splendid nature. 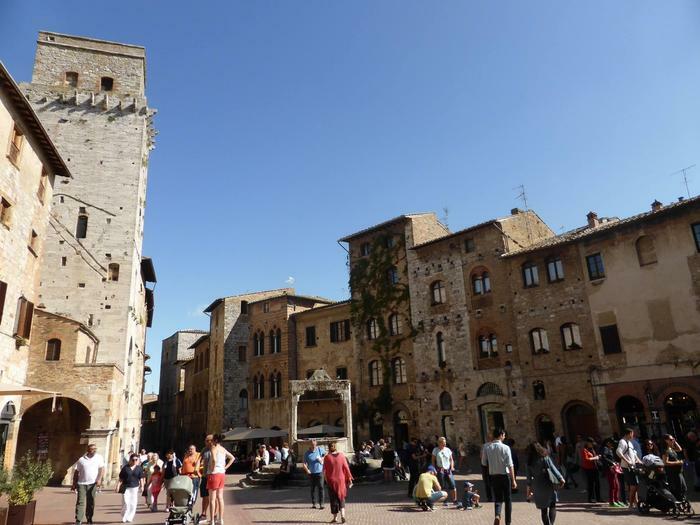 The trip will continue to the medieval town of San Gimignano where you will embrace your time wandering the ancient towers, local shops, and restaurants on your own. Reunite with your guide and take your next stop to the wonderful Siena. Enjoy the grandiose view of the monuments, piazzas, and palazzos as Piazza del Campo and Piazza del Duomo. In the late afternoon you will conclude your trip with coach transportation to Florence. The tour starts early in the morning from Florence where you will take a van for a half an hour relaxing trip to Pisa. 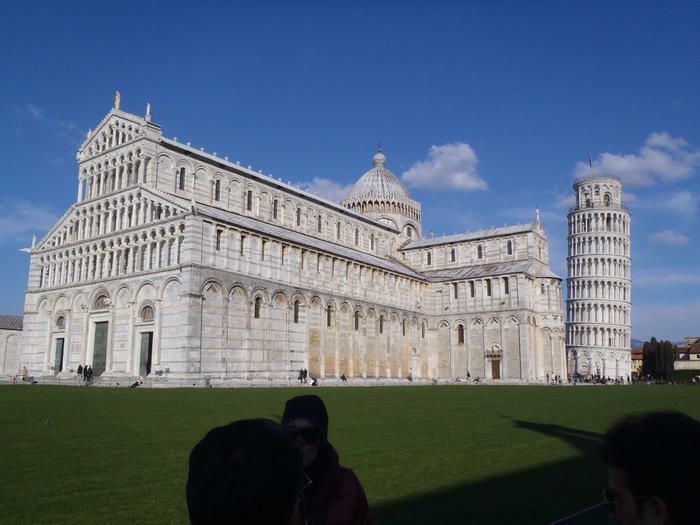 Once you are in Pisa you will take a walking tour of Piazza dei Miracoli where you will see the marvelous Cathedral typical for the Roman period and admire the Baptistery, Duomo and Campo Santo. After the visit of these impressive architectural landmarks, your guide will focus on the magnificent Leaning Tower, one of the Wonders of the World. You will have a unique chance to visit the interior of the Tower skip the line, and climb to the top of this historical edifice by mounting 294 steps. In case you have walking difficulties caused by the unstable subsoil, it would be preferable not to climb the Tower and visit the interior of the Cathedral or Piazza dei Cavalieri. Depart from the Santa Maria Novella train station in Florence you will enjoy a one-hour ride to the historical brightness of Pisa. A walking tour through the city visiting the most spectacular places such as Piazza dei Miracoli, the magnificent Leaning Tower, Duomo Cathedral, the Baptistery, and Campo Santo. These are the main highlights of this tour. You will explore all of the main attractions in the city in just 2 hours and then hop a train and continue the trip to the amazing Cinque Terre, the five enchanting villages of the Italian Riviera. Once you are in Cinque Terre you will have a unique chance to enjoy the pastel-colored structures and the brilliance of the five villages. 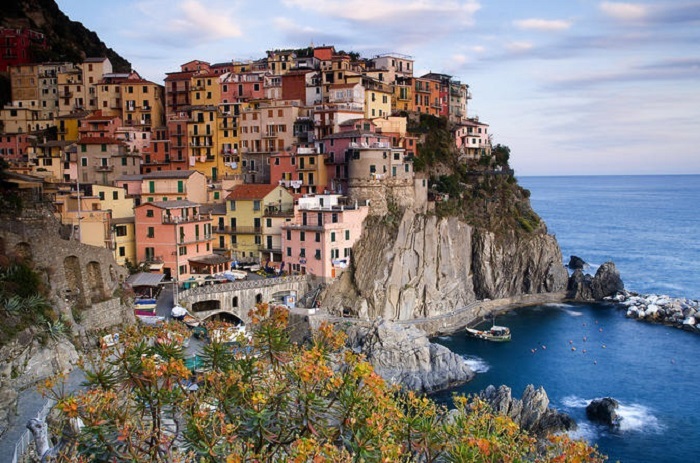 Enjoy your stay in the marvelous village of Manarola that is famous for its grapevines. Admire the enchanting Vernazza where you can jump into the waters and enjoy the faraway sunset. Replete with impressions, you will conclude the tour by travelling back to Florence in the late afternoon. Departing from Florence you will spend a full-day tour enjoying the historical landmarks, tasting homemade wine and exploring the many sanctuaries in both Pisa and Lucca. You will arrive at Piazza dei Miracoli and explore the stunning structures situated on the square. Dating from the Gothic and Roman period, you will see the Baptistery, the wonderful Cathedral of Duomo, and the Wonder of the World, the Leaning Tower of Pisa. And yes, it is one and only, the unrivaled icon of the city, the symbol of flair and unification. The Tuscan cities are renowned for their original homemade wine and delicious Italian cuisine, so don’t leave the town without a drop of wine. Afterwards, you will arrive in Lucca where you will spend some time discovering the memorials of the city. The ancient walls and the most impressive landmarks of the city, the Guinigi Tower, St. Martin’s Cathedral and the Piazza Anfiteatro are the main spots that you should visit. And for sure, don’t forget to taste the Buccellato, Lucca’s original shaped cake before leaving the city. This half-day excursion will bring you a wonderful journey through the Tuscan countryside. This is your historical chance to visit the University of Pisa, most famous for its architectural design and continue to Piazza dei Miracoli where you will see remarkable monuments and unique structures. The most impressive historical construction on the square is the Cathedral which is a main emblem of the Romanesque architecture. The walking tour will stop by the most famous structure in the world, the Leaning Tower where you can learn something more about the history of the Tower and take some memorable photos. After the guided tour, you can spend your free time to explore the oldest sanctuary in Pisa, the Church of San Sisto, Piazza dei Cavalieri, medieval statues or visit some local shops and buy souvenirs. One of the top Wonders of the World and the most famous structure in Pisa, known for its unintended tilt, is the Leaning Tower of Pisa. Situated behind the Pisa Cathedral, the tower was built in the 12th century just after the Cathedral. Later on, it was found that the foundations were unstable and the building began to lean. The tower was closed in 1990 because of the urgent restoration and was re-opened for visitors again in 2001. Today the tourists can climb to the top of the tower and take some amazing photos of the city. The real example of Romanesque architecture and designed by Pisan architect Buscheto, the Cathedral of Santa Maria Assunta is an absolute must when visiting Pisa. This magnificent construction began in 1064 and was finished in 1118. The Cathedral is famous for its wonderful stone, the marble arches and its bronze doors of Porta di San Ranieri, with scenes from the life of the Virgin and the birth of Christ. This Cathedral is a real landmark and most attractive sanctuary in Pisa. The building of the Baptistery, one of the masterworks of Romanesque sculpture, began in 1153, almost a hundred years after the Cathedral. Its design was similar to the Cathedral but with different stone colors and dwarf galleries. After two centuries of hard work, you can notice the big transition from Romanesque to Gothic style. Inside the structure, you can see relief panels and figures of saints made by Nicola and Giovanni Pisano, the main sculptors of this unique masterpiece. Adjacent to the Cathedral is the Monumental Cemetery. This building is made from the same stone as the other constructions and is well-known for its courtyard. The outer walls are lined with ornate arches and the inner court is surrounded by dazzling flowers. The walls were covered with 14th and 15th century frescoes, but the bombarding in 1944 caused a fire that destroyed most of the roof and the frescoes. All frescoes that have been conserved are meticulously restored and returned to the abbey. National treasure which sculptures and artifacts are the primary attractions to visit. The National Museum of Pisa is the masterpiece of the city. The museum offers you sculptures and pictures of Tuscan schools spanning the 12th to 15th centuries. You can also see the original statues of Giovani Pisano and some sculptures from various Pisan churches that have been relocated here to preserve them from bad weather and environmental damage. This is the most treasured museum in the city and you must visit it. A world-famous and most beautiful square is Pisa’s Piazza dei Miracoli. It is a home of the most amazing architectural designs such as the Duomo Cathedral, the Baptistery, the Campo Santo and a number of restaurants and luxury shops. The most impressive structure on the square is the monumental Leaning Tower, the emblem and landmark of the city. 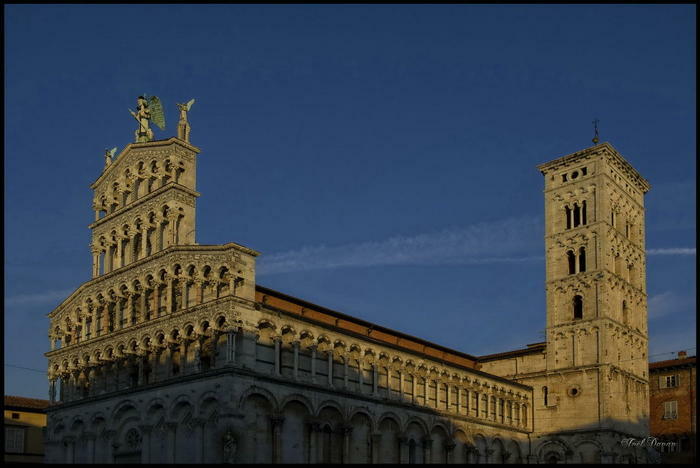 Located in the center of Piazza dei Miracoli, the museum is probably one of the least visited places in Pisa. The collections are six centuries old and are appropriately labeled and described in English, with Islamic inlays of colored marble that once decorated the cathedral. In 1562 the architect Giorgio Vasari rebuilt this palace named after the courses for knights (cavalieri) of the Order of St. Stephen that were held here. The façade is decorated with ornaments, coats of arms and busts of sir Medici Grand Dukes of Tuscany. Since 1810, the palace housed the Scuola Normale Superiore that was a college of higher education founded by Napoleon. Dating from 1543 and tended by the illustrious botanist Luca Ghini, this is the first university botanical garden in Europe. It is a home of many botanical drawings, maquettes and catalogs, and contains an amazing array of palm trees, flowers, plants, and fauna. The garden is separated in several sections including vintage greenhouses, herb garden, ponds, an arboretum, and different orchid species. Constructed in 1947 the Mezzo Bridge is one of the most attractive and essential bridges in Pisa. It was designed by Sergio Aussant from Livorno, and it is 89 m long. The bridge crosses the River Arno, the main river in Pisa that gives you grandiose landscapes and exclusive view of the gorgeous houses and splendid architecture.